Tag: Alexis Georgoulis, Canadian Chefs, Christina-Laia Vlahos, DK Associates, Greek celebrities, Gringlish Girl, Katilena Alpe, Lefteris Pantazis, Maria Dalekos, OMNI TV, Sakis Rouvas, Star Foodies! A new TV show hosting Greek celebrities such as Sakis Rouvas, Alexis Georgoulis and Lefteris Pantazis and revealing their favorite recipes produced by Canadian Chefs, is currently broadcasting on OMNI TV (Canada/National). 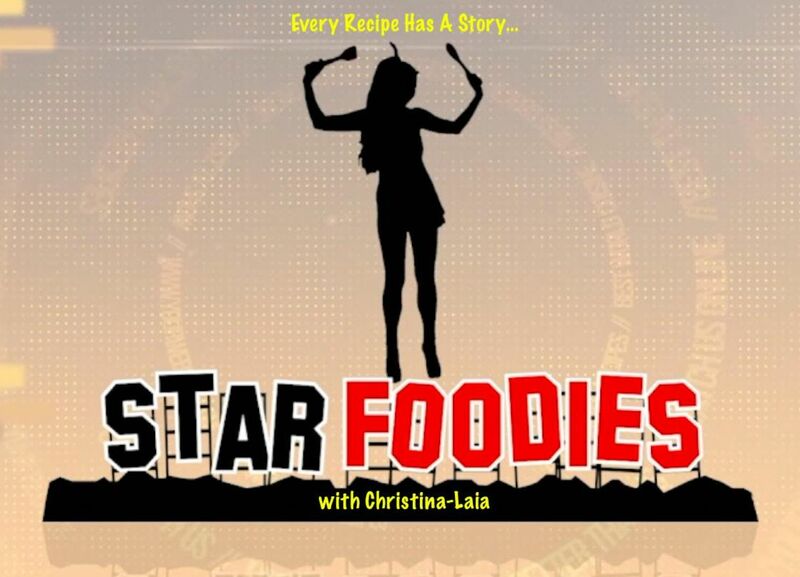 Entitled Star Foodies!, the show is a creation of Christina-Laia Vlahos, a Greek-Canadian presenter/model who after years of working with celebrities has decided to chat with them one-on-one about… food! “People always ask me what celebs are like close up, from what they look like, to what they eat. I was actually more interested in what they actually cooked, and it seemed like a lot of stars were foodies,” said Christina, who is also known as “Gringlish Girl”, a product of her mixed culture, and bi-cultural upbringing. The first season of Star Foodies! 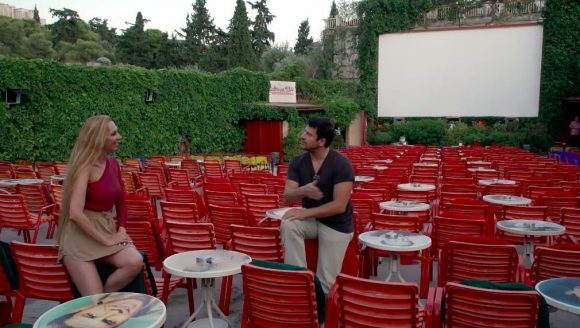 was filmed both in Athens, Greece and Canada in late summer and early fall 2018, and will premiere on OMNI TV (Canada) October 27. The show airs every Saturday night at 10pm and repeat twice during the week, Fridays at 11:30am, and Thursdays at 4:30am. In each episode, host Christina meets with a top Greek celebrity in Athens and during their chat, each celebrity reveals some information about their lifestyle, work and lastly, a recipe. After the commercial break, Christina returns to Canadian kitchens to recreate the recipe with experienced chefs who are household names and with their own cooking programs. The half hour, travel, entertainment, cooking show has a star studded line-up including, Sakis Rouvas, Alexis Georgoulis, Locomondo, Katerina Geronikolou, Mariada Peridi, Kostas Martakis, Master Tempo, Lefteris Pantazis, Eirini Papadopoulou, Nicolas Bravos, Zeraw/Vegas and Kostas Sommer. The creator and host, Christina and DK Associates, a British/Greek integrated communications agency, are already working on the next 13 episodes to be filmed in Greece late autumn, and Canada early winter. DK Associates undertook the task of booking the celebrities and locations of the show. “I savoured the challenge of teaming up location with a celebrity,” said Katilena Alpe from DK Associates. Some of the celebrities chose for the show’s filming to take place in their favorite neighborhood, beach, bar, restaurant and hotel. “Athens and its hoods are photogenic and we sure picked the best from Lake Vouliagmeni to St.George Lycabettus to Ginger in Chalandri and Amaryllis in Kifisia. Filming on location in Kaisariani or Flisvos Marina was also a great pleasure,” she added. DK Associates specializes in lifestyle and talent management, travel and food. The company is also responsible for the promotional and sponsorship opportunities of Star Foodies!. The show’s executive producer is veteran journalist and producer, Maria Dalekos (Red Door & Lemon Tree, Movie /Ariadne’s Red Chair Films Inc).